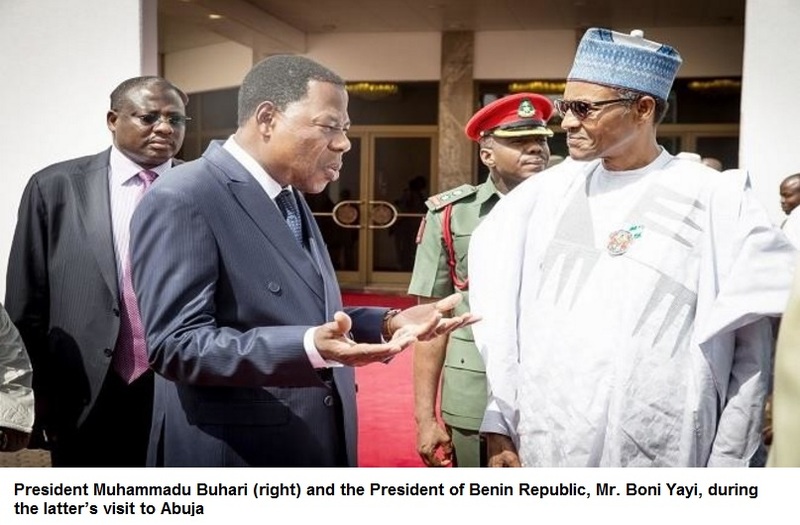 Benin Republic President Boni Yayi said his country was ready to send 800 troops to join Nigeria and other neighbouring nations in the ongoing fight against the Boko Haram insurgency. Yayi stated this at the Presidential Villa in Abuja after a closed-door meeting with President Muhammadu Buhari yesterday during his one-day state visit to Nigeria. Addressing State House correspondents, Yayi assured that Benin’s 800 troops were battle ready and were awaiting their deployment. “To fight terrorism, Benin is ready to send about 800 men to join the men that are already prepared to fight terrorism. The team is battle ready for deployment. The will power is there and Benin is committed to deploying the men. Benin will always remain on the side of Nigeria in its trying times,” he said.